Raeanne was listening to Band of Horses way before they were the band du jour. May brought a not only a new baby, but a new, expanded space here at 196 Glen Street, a new summer intern (welcome Kayla) and a few new clients. Not a whole lot of extra time to populate the ol' Bounce Blog here. There's not much to report at the moment, beyond a lot of hard, creative work. But there are big things on the horizon. It's Memorial Day: the unofficial start of summer. 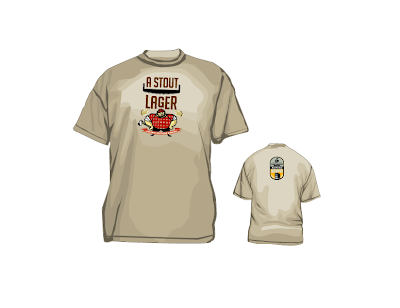 Put another way, the start of T-shirt season. We've been working on a number of apparel ideas here at 196 Glen and we like giving our clients options, when it comes to wearable messaging. Alas, not all of the options presented are produced. Below, you can see some of the best work that never left the shop. 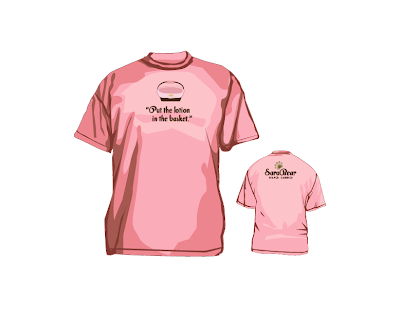 With a little coercing, we might print them and sell them online ourselves. Is there a market? 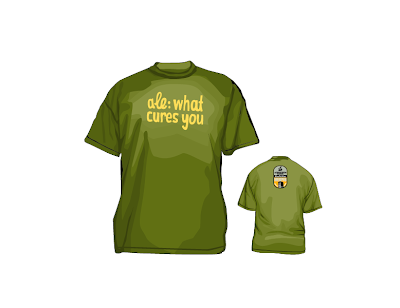 Design for a local brew pub that cures what ails you. 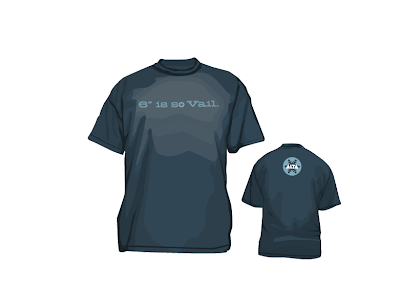 While the real "A-List" tee was a hit on the trade-show floor, this was designed as a givaway for, let's say, unqualified leads AKA: uninterested parties. 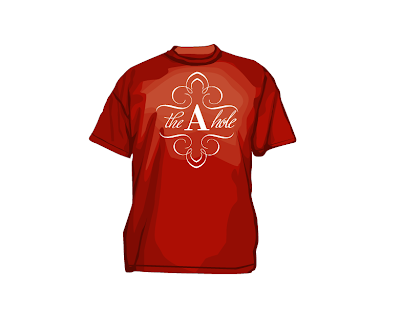 Concept courtesy of Ben Bramlage, everyone liked this design immediately. 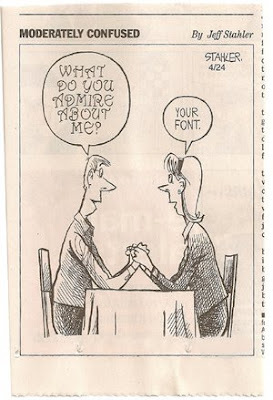 Except the um, the client. Yeah. Bummer dude. The ladies at SaraBear Baskets blanched at the thought of wearing a quote from The Silence of the Lambs on their chests. 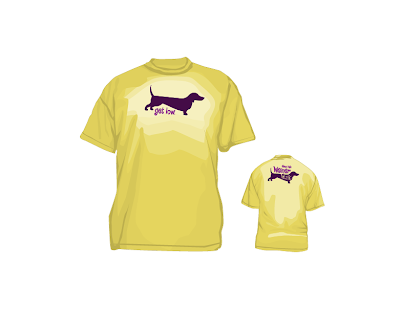 The Rosa's will take Woodstock and all the other dachshunds in town for a walk sometime this fall, but until then the shirt goes un-produced. Additional rejected headline: Check out my weiner. 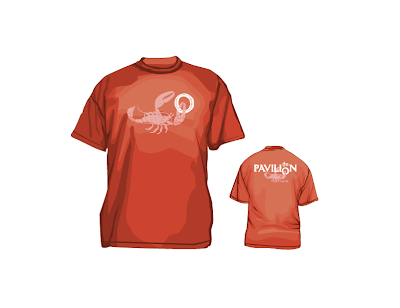 The lobster got baked as a mascot/logo for the Sagamore's Pavilion restaurant, but we thought it made for a fun shirt. 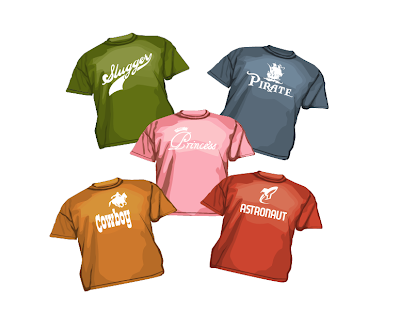 This series of shirts for kids never made it to the shelves at the library. Kitchy-cool Alta takes a swipe at the lower-altitude sellouts in Colorado. YES! Want one? Give us a reason to have these printed. Please. 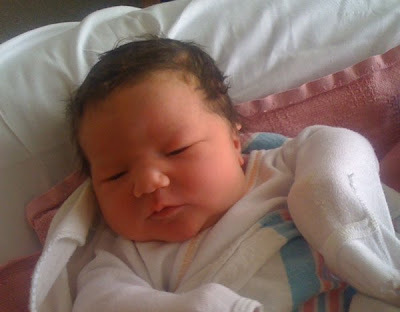 ...as luck would have it, there's a baby to be changed. The new SaraBear patterns have arrived (not a moment too soon!) and represent Trampoline Design's recent foray into textile design. Can we say fabrication? Or is that a bad clothing pun...Trina, we'll need your ruling. Or, ah, tape measuring. Enough. 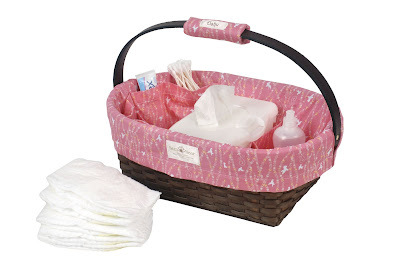 The photos below show just a few of the new Classic and Whimsy lines, available in June from the SaraBear Company. Derek designed the packaging and the Atlantis pattern, with jaunty seahorses shells and bubbles. Trina created a geometric feel for the Riviera, part of the Classic collection. Sean paired hummingbirds and flowers on the Oahu. 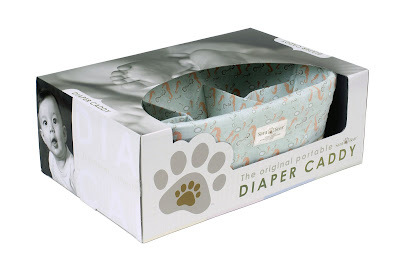 Diapers, wipes, underwear and awkward nose-sucker bulb sold separately. 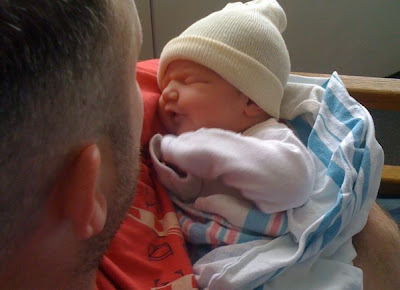 Finley Frost Magee arrived on Wednesday morning at 8:30. She was 8lbs. 5oz. 21"
Thanks to the crew at Trampoline for the beautiful flowers, and also to all the clients and community members who have wished us well! It's time to simplify your search. 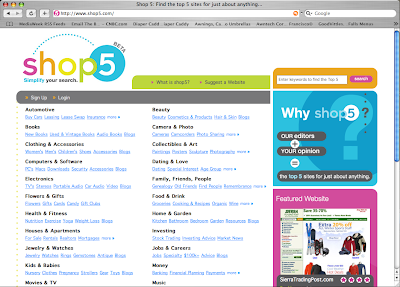 Shop 5 is a free online service that gives you the top 5 sites for products and services in hundreds of categories. Instead of sifting through literally millions of search results, Shop5.com takes you straight to the best. Their team of editors scours the web for the latest and greatest sites around, and then researches each to make your search easier, faster and far more informative. With Shop5, the best sites are chosen by people, not robots. 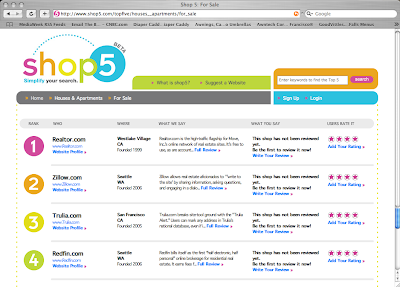 Shop 5 doesn't just tell you which sites are the best, they tell you why. And the best part? Users decide what stays in the top 5.The ratings and reviews from people just like you are what make the site so valuable. Trampoline created a brand identity that was clean, simple and cool enough to support the concept. Raeanne and Trina led the team as stationery, presentations and on-screen layouts were designed leading up to the site's launch date. Australia-based Snepo finished the back-end development and put the site up earlier this week.